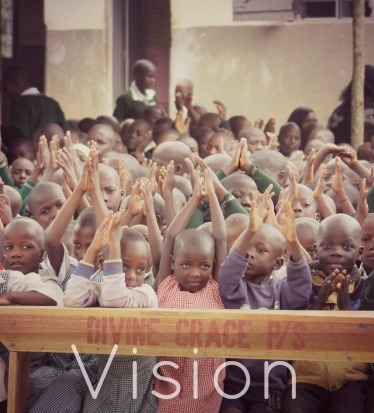 Divine Care Ministry began in the late 1990's as a committee within Christian Life Church in Kampala, Uganda. Christian Life Church is a large indigenous church in a poor region of Kampala. The committee of Divine Care Ministry was charged by the leadership within the church to care of the sick, the widows and the orphans. At this time the HIV incidence in the population of Uganda was 28%. There were many deaths of working-age people which lead to many orphans and widows. Phoebe Sozi was asked to chair the Divine Care Ministry committee and although the task was overwhelming, she willingly accepted the challenge. In November of 2000, Dr. Rick Rogers first visited Uganda and met Phoebe Sozi and her husband, Peter. Peter was serving as one of the pastors at Christian Life Church and was also working at a post office to support his family and church. Peter and Phoebe's heart of compassion and their willingness to be used by God was very evident to Dr. Rogers. When he returned to the USA, he shared their story and rallied others to help with the challenges that Divine Care Ministry was facing. At the time of the first visit, Divine Care Ministry was helping twenty-two orphans. Sponsors for those orphans were recruited, which provided the funds for the committee to help others. The support for the children were tailored to their specific needs. A common story was for a husband to become infected with AIDS and pass the disease on to his wife. He would normally die first leaving the wife sick and without means of support. If she was able to care for the child in some ways then Divine Care Ministry would assist her. When she was no longer able to help the child, then full care would be provided. The children would be placed in boarding schools, they would be provided with uniforms, books and food and their school fees would be paid. In 2001, an additional forty children were added to the list of those who have been suported. The Sozis travelled to the USA and met with many of the people who were willing to help. Relationships were initiated that have since then flourished. As the Divine Care Ministry committee identified other needs and recommended solutions, additional projects were undertaken. In 2002, some land was acquired by Divine Care Ministry for the purpose of providing housing and food production. That next year four houses were built and additional children were cared for. The project increased to the point that it felt appropriate to register Divine Care Ministry as a nongovernment organization in Uganda. In the USA the organization was brought under the oversight of Final Command Ministries, a 501(c)3 organization. In 2004, the ministry acquired a primary school in the Rakai District. The school was originally started by another Ugandan ministry, but that ministry was unable to meet the overhead expense obligations. Rakai District is an area of Uganda where the African AIDS epidemic was first identified and its effects on that district was devastating. A large percentage of the working-age population died. This shattered the economy and left many grandparents with numbers of children to care for—and in some instances it left children caring for their siblings. They Sozis were approached regarding acquisition of the school and the members of Divine Care Ministry were excited to take on this challenge. Improvements to the facilities were made, new structures were erected and Divine Grace Primary School was established. There was also an increase in the students enrolled; children were walking as far a eight miles each way to attend class. In 2007, a medical clinic was built on the school property. The need for a medical clinic was great since children frequently came in contact with malaria. Many times, they would also come into contact with fungal diseases of the scalp and parasites such as worms. There were previously no medical clinics in the village or nearby area so our medical clinic was also able to serve adults from the community. We are continually seeing hope brought to this area and seeing a transformation take place in the community. In 2012, we established a dental clinic on campus at Divine Grace School in Rakai District. With the use of its modern equipment, this dental clinic is helping service the population of over 100,000 people who previously had only one dentist. At the beginning of 2012, we also opened Divine Hope, a second primary school, which currently has close to 120 students. This school is located in Jjogo, a small community in Mokono district on the outskirts of Kampala. By 2013, we have helped close to 1,500 children. Many have finished the university level of education and some even work in the ministry as staff. The university graduates have formed an organization open to all former beneficiaries of Divine Care Ministry and this organization is dedicated to assisting us in the future. Our slogan is "Together we make a difference" and we are seeing the fruit of our commitment. We invite all others to join in; there is plenty of opportunity remaining. As children and communities have been helped, opportunities have developed to plant churches. Churches are thriving at both schools as well as on the farm. We have also been able to assist neighboring churches as well. The witness of loving the children and adults in need has advanced the kingdom of God in many ways. Since 2011, our staff has reached out to tribes in the northern part of Uganda where the gospel has seldom been heard and never successfully established. Thousands have responded to God's call and under the guidance of Peter Sozi, leaders are being trained in these remote regions.